Second Timothy is called the "dying epistle" because it was the last letter written by Paul. 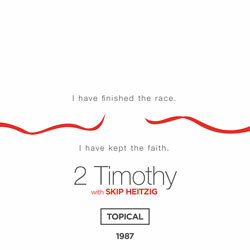 Pastor Skip Heitzig shows how Paul encouraged his "son in the faith," even in his final days on earth. There are 2 messages in this series. Second Timothy was the last letter Paul wrote before he was killed for the faith. 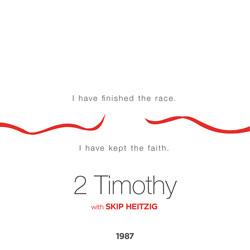 In this short, topical series, Pastor Skip Heitzig looks at the great comfort Paul found in a supportive friend as well as his unflinching hope and confidence that he had finished the race God set before him.